Farrell's, the beloved ice cream chain and restaurant that we announced in November would be returning to the Atlanta, is reportedly no longer planning to open here. 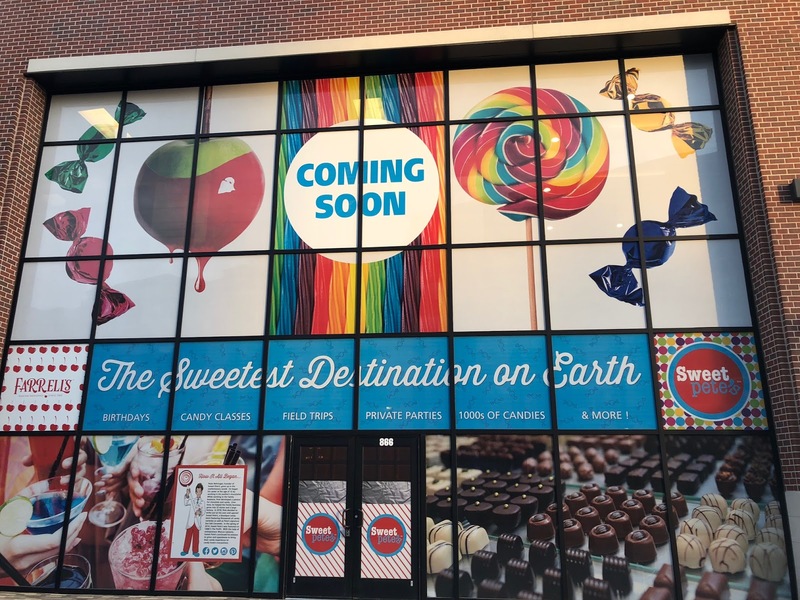 Farrell’s Restaurant and Ice Cream Parlour was to open in a shared space with Sweet Pete's, a gourmet candy shop at the Battery Atlanta at SunTrust Park. The two businesses were to share a roughly 10,000 square foot, two-level space adjacent to Wahlburger's and across from CRU, a wine bar and restaurant. Citing poor financial performance and liquidity concerns, a source close to the restaurant told ToNeTo Atlanta this week that Farrell's will no longer be part of the project, but that Sweet Pete's does still plan to open, albeit in a smaller space than originally planned. A formal press release from Sweet Pete's/Farrell's is expected next week. When asked via Facebook about their planned opening in Atlanta and when the location would open, Farrell's responded saying "we'll release further information publicly once it's available. thank you for your interest, that's all we can say at this time." News of Farrell's return to metro Atlanta was met with overwhelmingly positive sentiment with many ToNeTo Atlanta readers reminiscing about the company's previous locations in metro Atlanta including those at Cumberland Mall in Smyrna and Northlake Mall in Tucker. Bob Farrell and his business partner opened the original Farrell's in Portland, Oregon in 1963. The parlors featured an early 1900s, "Americana" theme, with employees wearing period dress and straw boater hats. In 1972, the Farrell's chain was purchased by the Marriott Corporation and by 1975, there were nearly 130 Farrell's nationwide. Under Marriott's ownership, the chain lost its way and thereafter, sales steadily declined. In 1982, Marriott sold the Farrell's chain to a group of private investors, and by 1990, almost all locations had closed. Parlour Enterprises brought the brand back from the dead in 2009 with the ill-advised opening of seven Farrell's locations in California within a very short period of time. The company was forced to close a number of under-performing locations and Farrell's President Paul Kramer and his business partner Mike Fleming got into debt trying to salvage the most profitable units. In 2016, the duo were featured on the season four premier of the hit CNBC reality show "The Profit," as they worked with billionaire investor Marcus Lemonis to save the business. Although Lemonis was initially only an investor in the company, Kramer and Fleming stepped down from their roles last year, leaving Lemonis and his "ML Foods" as the restaurant's primary stakeholder. Sweet Pete’s, like Farrell's, was featured on "The Profit," with Lemonis now a 50% shareholder in the candy business. Peter and Allison Behringer are the founders of Jacksonville, Florida-based Sweet Pete's, with Peter honing his candy-making skills working for his family's business, Peterbrooke Chocolatier. The Profit's season 5 finale entitled "Fighting For Farrell's" aired late last month, and featured Lemonis working to salvage his company's investment in Farrell's which had swelled to over $1,000,000. The episode featured a cameo of AmericasMart in downtown Atlanta where Lemonis worked with his team to procure items for the Atlanta stores. In the same episode, Lemonis gave Travis Lee, the director of operations for Farrell's Ice Cream Parlour, $50,000 of his own money. Referring to Lee as a"rockstar," Lemomis lauded Lee's unrelenting commitment to the brand and his efforts to regain the brand's momentum that was lost under Kramer and Fleming. Sweet Pete's was added to the existing Farrell's restaurant in Buena Park, California. The two businesses pair well together with Sweet Pete's bringing some originality to the candy offerings of Farrell's that Lemonis called "non-curated," and of convenience store quality. Sweet Pete's offers their wide range of fresh-made confectionery treats and also offers children the opportunity to learn the art of candy-making with candy-making classes, field trips and birthday parties. Denim & Soul, another company in which Lemonis invested on "The Profit," did not fare well in its expansion to Atlanta. The clothing boutique opened at The Shops Buckhead Atlanta at the end of 2015, but less than six months later, in the spring of 2016, it closed. The Atlanta Braves opened their season today, March 29, with a 4:10 game against the Philadelphia Phillies at SunTrust Park. While it would have been great for Sweet Pete's to be open for the start of the season, a representative from the company told ToNeTo Atlanta earlier this week that they are still "about two months" away from opening. Are you disappointed to hear that Farrell's is likely not returning to Atlanta? What is your fondest memory of Farrell's? What is your favorite part of The Battery Atlanta? This is surprising to me with Marcus at the helm of this ship and according to the last Profit update, he seemed to be getting a handle on all of this. It's also weird to me that Sweet Pete's will be opening in a smaller space. When they announced adding Farrell's the sq/ft didn't change. When I saw the Sweet Pete's store frontage last year on opening day, I thought to myself "This space has to be absolutely ridiculously expensive" and "It's far too big"
Oh this is too bad! I used to love going to Farrell's at Cumberland Mall when I was a kid in the 1970's. I love the new SunTrust field and this would have been a great addition! Farrell's was a great concept I'd love to see com back anywhere, but someone still has to explain to me what The Battery is FOR. I live 10 miles away, when I am supposed to visit? Braves games? Maybe once a year, if someone gives me tickets. No game, what is the draw? A have a Goldberg's Bagels five min. from my house, so that's out, for example. But the place is plainly intended to draw non-game days. Braves had 2.5m. in the seats last year which sounds like a lot until you remember Mall of Georgia does 14m. visitors all of which are SHOPPING. Luv to know how many ticket holders also spent money in The Battery on one of the 81 game days. Is that percentage enough to make rent? Just went to the Battery for a concert. Never again, unless it's someone I absolutely have to see. Car culture is all they are set up for, and it's not something I am interested in any longer. Uber to get home / 11 miles, was 84 dollars.. home, one way. Nope. I went to a couple games last season. The first time, I went to Yardhouse and had a couple beers before the game. Had a really good experience. The other time, we had a suite for entertaining clients so our food and drink was already taken care of. I've heard it can be bad ubering home after events. I also heard if you walk out of the crowded area then it is much better - like maybe take the pedestrian bridge over to Galleria and catch a ride from there? $84 is ridiculous. I've also gone to eat at one of the restaurants during the offseason and had no problems with free parking, etc. It was also very crowded for lunch so I'm guessing at least that restaurant is doing fine. Car culture is a fact of life. The fake it til they make it types in the ATL mecca will be seen. LQQK at them in their luxury vehicle and be in awe. Very disappointing. I was definitely looking forward to these two companies teaming up so my wife and I could swing through as we go to Braves games. Marcus bring Ferrells to Atlanta! Would love to see Farrell's at the Battery (or somewhere else in metro Atlanta). Have great memories of it from 40 years ago at the Cumberland location. Hope they can get their act together. I’m so sad to hear this! I went to Farrell’s every year as a kid but never got the big bowl of 24 scoops. Was hoping to do that for my birthday this year! So sad. Not sure why is bad idea to open here. Folks here love to eat out and I believe it would do well financially. Those of us who grew up with Farrell's have an intense nostalgia over the concept. Sweet Pete's along with Marcus replaced the classic Farrell's look in Buena Park and removed one of the biggest reasons people came there. Without that draw, it's just another ice cream parlor. And most of us remember Farrell's as a birthday party place. It is difficult to build a new chain on a once-a-year event. After reliving their childhood once or twice, people stopped coming back to the new California locations. The same would have happened at The Battery. Sweet Pete's has not been all the successful either. They tried to franchise in Illinois with no success. Pairing them with Farrell's was not wise. Very disappointing. Was looking forward to this store in the Battery. Must be a good reason though. Just a foolish canned response. I knew the exact moment that you would say that you didn't work for the Braves, Jim. Oh wait, Bob. Ah, neither -- you are a Greek person majestically named Anonymous. Wow. The truth is: you can't judge the success of a project in this front-running, instant-gratification town in the first year or two. The gentleman made a very salient point (several actually) that, at a point, you need to have a reason to play in traffic, if you are to travel to eat or shop somewhere. What happens when the newness is gone? When you don't have friends in town to impress? Are you going to choose pizza/barbecue/bar scene at a difficult to access, hot hazy outdoor mall over something minutes from your house. This is to say nothing of the affect of what happens when the newness of the new stadium dissapates. Go back and read initial hoopla over New Underground or Shops Of Buchead. Maybe you'll calm down long enough to get the point.